BestBuy has a sweet deal going on today. 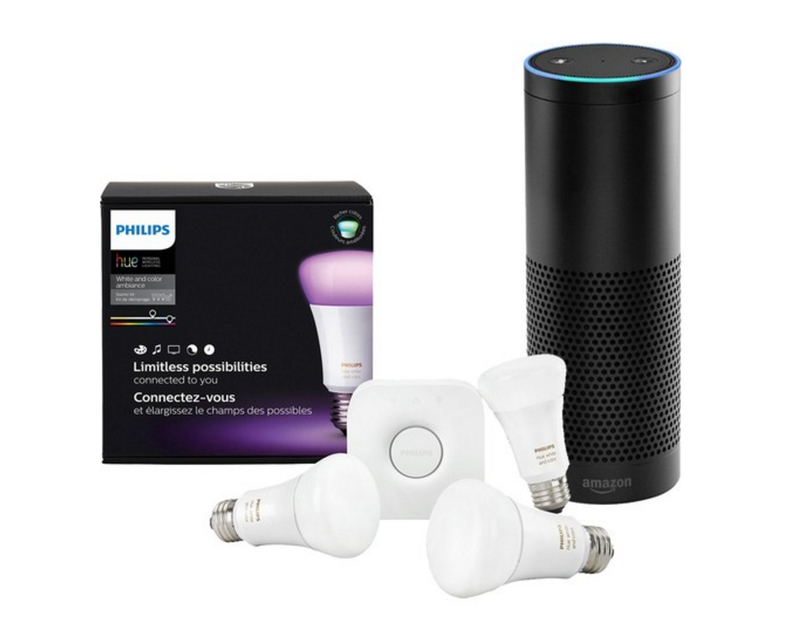 You can pick up a Phillips Hue A19 starter kit (3 bulbs plus a hub) and an Amazon Echo for $260.40. That's about $120 less than you would pay if you bought each item separately at full price. This a great combo for those of you wanting to add some tech to your home to make it a little smarter. I own several Phillips Hue bulbs. I love being able to change the color and intensity of the lights to fit my activity and mood. Waking up to gradually increasing lights instead of an alarm has helped me tremendously in handling the dark Seattle winters.